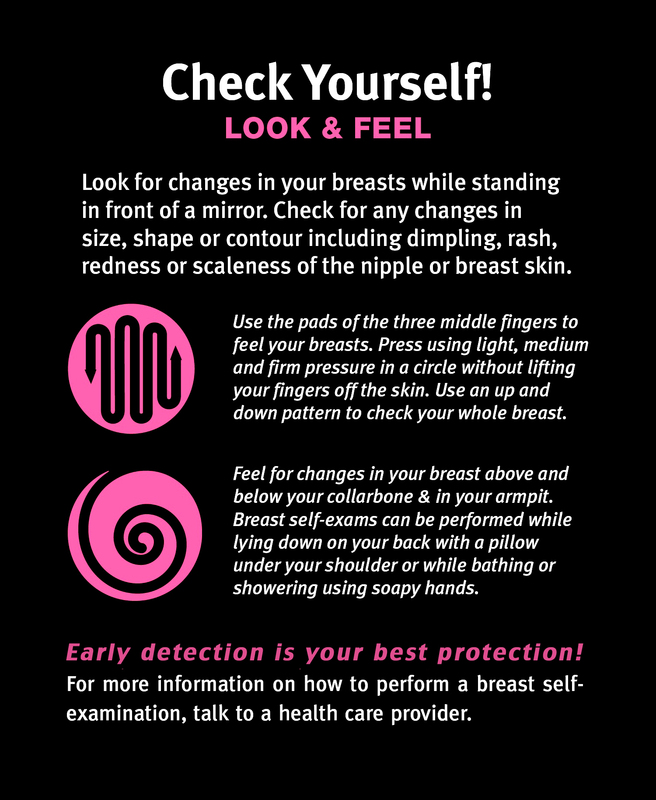 Performing a Breast Self Exam or a BSE is one recommended way of helping to detect breast cancer early and increase the likelihood of recovery. The most effective way to detect breast cancer is by mammography, and a clinical breast exam can complement mammography screening. BSE should not be relied on as they only way to detect breast cancer but it is beneficial aid, it allows you to become more familiar with your body and what is normal for you. We want to thank everyone who has been participating in The Hunt For The Cure both the vendors and the Hunters as well was those who have been donating so generously.